Historic heirlooms worth nearly £700,000 were stolen when thieves raided Goodwood House, near Chichester, on Thursday (January 13). Sussex Police has made a nationwide appeal for information as to the whereabouts of the jewellery, which includes a diamond tiara and a ring that belonged to Charles II’s mistress. The valuable items belong to aristocrats Lord and Lady March, owners of the Goodwood Estate, with the couple ‘devastated’ at the crime. Detective inspector Till Sanderson said: “The theft of these beautiful and treasured items have left the victims Lord and Lady March devastated at their loss. “An intruder broke into the house sometime after midnight on Wednesday (January 13) and took thousands of pounds worth of jewels and watches, many of which are irreplaceable. The historic items, with ‘huge’ sentimental value, include an 1820 diamond tiara, worth in the region of £400,000, and an antique diamond necklace from the first half of the 19th century, worth in the region of £200,000. An emerald intaglio and diamond ring from 1800, engraved with Duchess’s coronet and monogram CL for Louise de Keroualle, mistress of Charles II, was also targeted. Police added more than 40 items were stolen including emerald, diamond and sapphire rings, earrings, bracelets and necklaces as well as antique Rolex and Girard Perregaux watches. DI Sanderson added: “Working with Lord and Lady March we are doing all we can try to trace the stolen treasures, liaising with auction houses, stately homes, dealers and those with specialist knowledge. 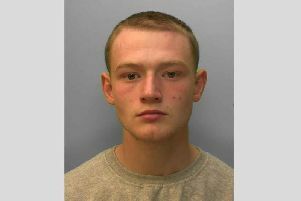 A 26-year-old man from Hampshire has been arrested and is currently in custody.